On December 11, four women who were arrested on December 5 in Jelizi Village of Dehloran, after protesting the seizure of their lands, were transferred to the prison of Ilam, western Iran. The four are identified as Tarfayeh Jelizi, Hassaneh Jelizi, Hamideh Sorkhi Jelizi, and Hamideh Ja’ab. They were injured and arrested in clashes between security forces and villagers who were mostly female farmers. The State Security forces attacked Jelizi village in Dehloran, on Sunday, Monday and Tuesday, December 3-5, 2017. Claiming that they were acting on a court verdict to confiscate the lands, they used tear gas and batons to brutalize the farmers. 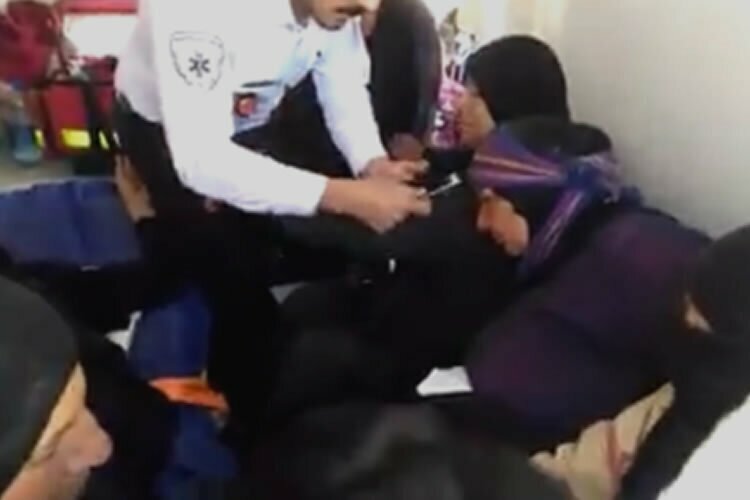 They arrested around 50 of the farmers and their wives and daughters some of whom were identified as being Mrs. Jassem Jelizi, No’eh Jelizi, Terfayeh Jelizi, Hassneh Jelizi, Hamideh Jelizi and Hamideh Cha’bawi.